Take a virtual tour of our Leawood office! 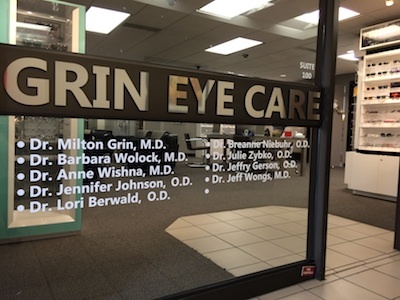 Grin Eye Care's Leawood office is located at 4601 W. 109th St, Suite 100 - right off of 435 and Roe in the Fox Hill Medical Building. Opened in November 2014, our Leawood office offers all of the same great services as our Olathe location, to meet the full range of your eye care needs. We also offer early morning hours, evening hours, and lunchtime hours, depending on the day. Contact us for more information and to book an appointment. We have an optical shop in Leawood and single vision lenses can be ready in one hour. Don't forget to stop by our gourmet coffee machine as well. We already have more than one patient that is addicted to the cappuccinos!